Manufacturer of equilateral prisms made of CaF2, IR Fused Silica, Si and ZnSe. Equilateral prisms feature three equal 60° angles and are often referred to as dispersing prisms. These prisms are ideal for wavelength separating applications. Deviation is a function of refractive index, and hence wavelength. 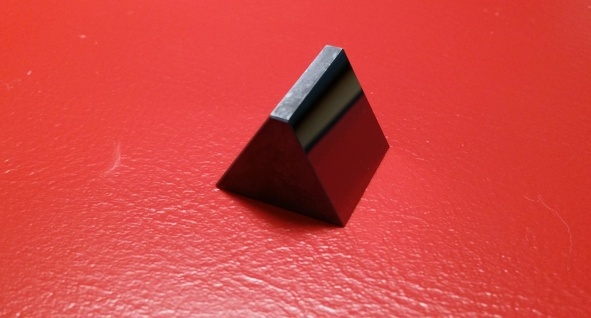 Our Equilateral Prisms are available uncoated or with a anti-reflection coating. Standard size A=B=C =25.4mm but for sure we will produce custom equilateral prism according to your specifications.